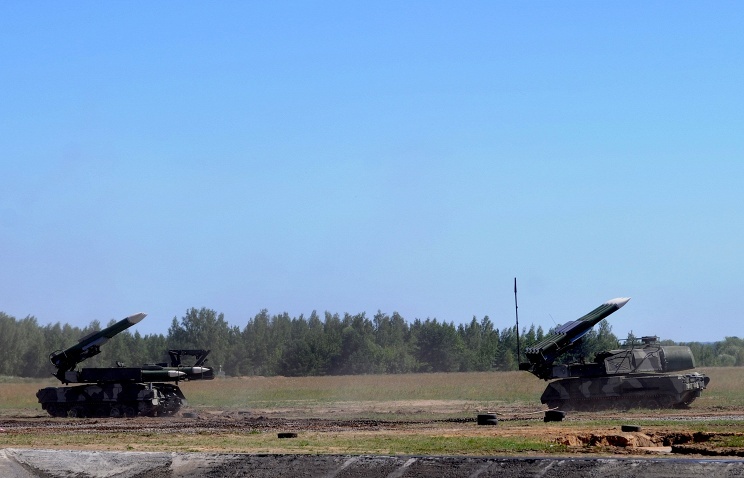 The ministry stressed that technical features of the Buk-M1 air defense system allow it to exchange information between the squadrons of one battalion MOSCOW, July 18. /ITAR-TASS/. The stretch of the flight route of the Boeing 777 airliner of Malaysia Airlines and the site of its crash were within the zone of operation of two Ukrainian batteries of the S-200 long-range anti-aircraft missile system and three squadrons of the Buk-M1 medium-range anti-aircraft missile system, the press service of the Russian Defense Ministry told ITAR-TASS on Friday. “Russian radio-technical facilities during July 17 were recording the work of the 9s18 Kupol radar station of the Buk-M1 squadron, stationed in the area of the Styla settlement (30 km south of Donetsk),” the ministry added. Russian Defense Ministry stressed. The Boeing 777 plane of Malaysia Airlines crashed near Donetsk on July 17 in the area of Ukraine’s Grabovo settlement. The airliner carried a total of 298 passengers, including 15 crewmembers. The Russian Defense Ministry previously reported that Kiev’s statements to the effect that Ukraine’s anti-aircraft defense systems or planes of the Ukrainian armed forces on July 17 did not fire on air targets, cause serious doubt. The ministry also stressed that on July 17, the air defense means of the Russian armed forces were not working in that area and Russian Air Force planes were not flying in the Russian regions, bordering on the Ukrainian Donetsk region. “This information is fully confirmed by the air data recorders,” the ministry added.